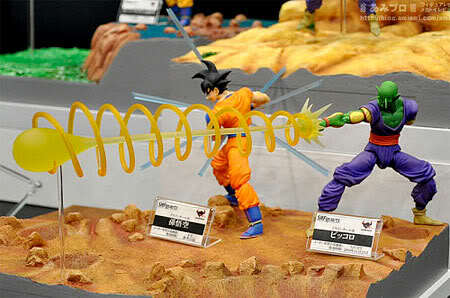 2010 could spell a revival of Dragonball figures thanks to the re-make of the anime Dragonball Kai. 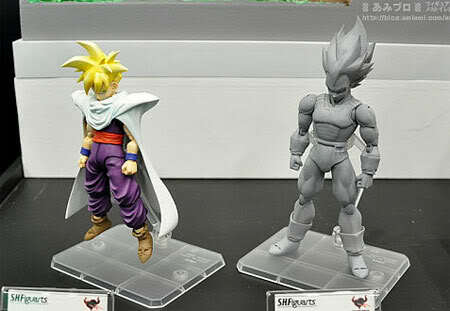 Here are some prototype of S.H.Figuarts Dragonball Kai series figures. Meet Goku as Super Saiyan 3! Personally I felt this is the best Gohan version in Dragonball series when he has to believe in himself to face up with Cell. Okay Vegeta look great with the details of his muscles. Now this is what I really consider action figure. Please note they are still articulate figures just with action power given to them for posing. 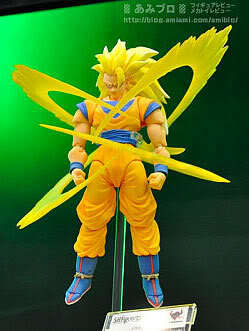 After 2 decades, this is how Dragonball figure should be!! I don't know about you but I have to take a second look on the awesomeness of the figures. 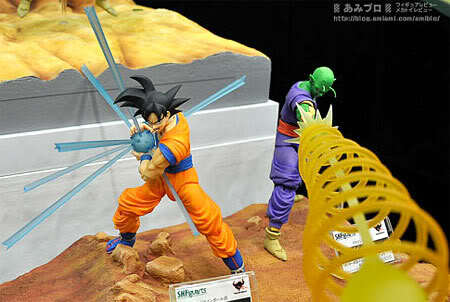 Want to join me to get these figures Dragonball's fan? Im pretty much lost at DBZ, but any mention of Vegeta is worth my attention, SHFiguart Vegeta, Hail Yeah! I love all the add on clear part effects!! Excellent for posing laser shots! Just love Goku in that charging stanch. Really detail and articulate and accessories makes the toy poses like how they are in the anime. i want it but tell me how much does it cost first ^^"
Yes the Vegeta in this series really wicked. If you like, buy it bro. So do I! That's a classic move. So you want to join in to collect? If you are keen, email me for details since I will be getting mine. Really nice but not into it..Gonna control my spending on toys..Haha!! well I dislike the kamehameha effect parts.. they can do something like that for piccolo, but for the son goku.. owh.. feel bad to him hahaha..
You're right, after all this time, this is how Dragonball action figure should be like! but i thought you were looking for the medicom GOku? Or I may mixed that up with someone else?